Services and investment are a key component of EU trade policy, mirroring the key role of these sectors in the EU economy. The EU is indeed the world's largest exporter of services and investment and the sector generates several million jobs throughout Europe. EU international trade in services and investment has increased significantly in the last decade. The EU28 surplus stood at almost €163 bn in 20141 , while the EU held a net investment position of €1,166 bn in relation to the rest of the world at the end of 2014. 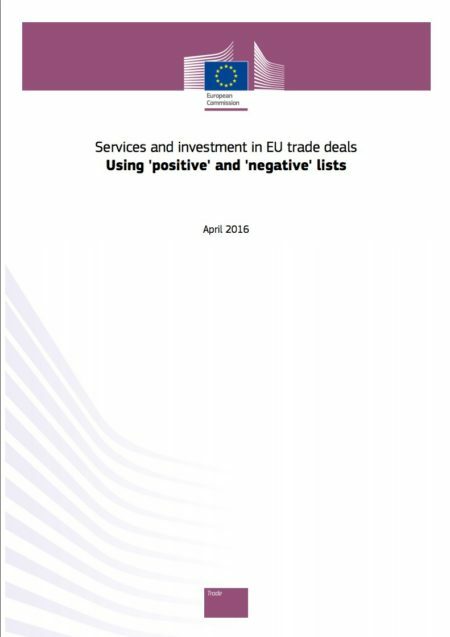 So how do EU trade deals cover trade in services and investment?